After the success of the Ruhr dams raid in May 1943, 617 Squadron was retained by RAF Bomber Command for specialist precision bombing operations. 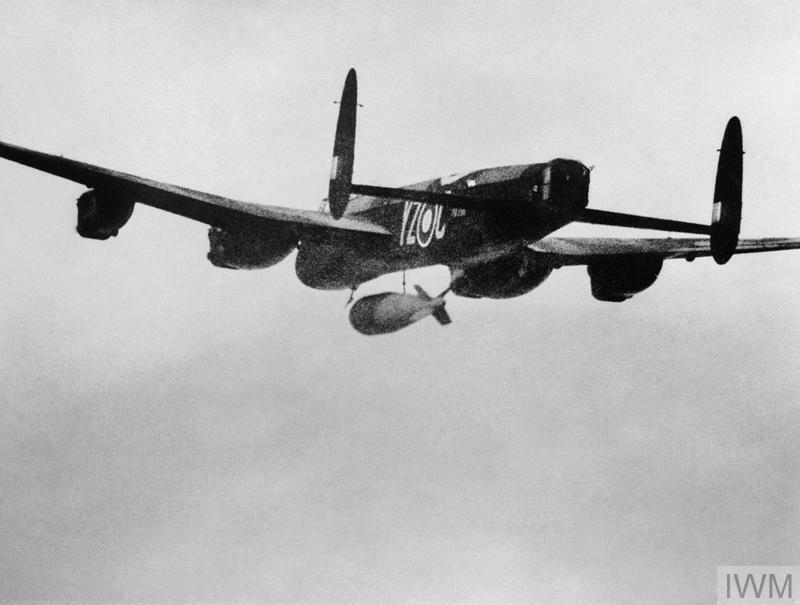 It experimented with new bomb sights, target marking techniques and colossal new 'earthquake' bombs developed by Barnes Wallis, the inventor of the 'bouncing bomb'. An unsuccessful attempt to bomb the Dortmund-Ems Canal from low level in September 1943 resulted in the loss of five aircraft and the death of the Squadron's new commanding officer. Such missions were not repeated, and henceforth 617 Squadron concentrated on high-altitude precision bombing. 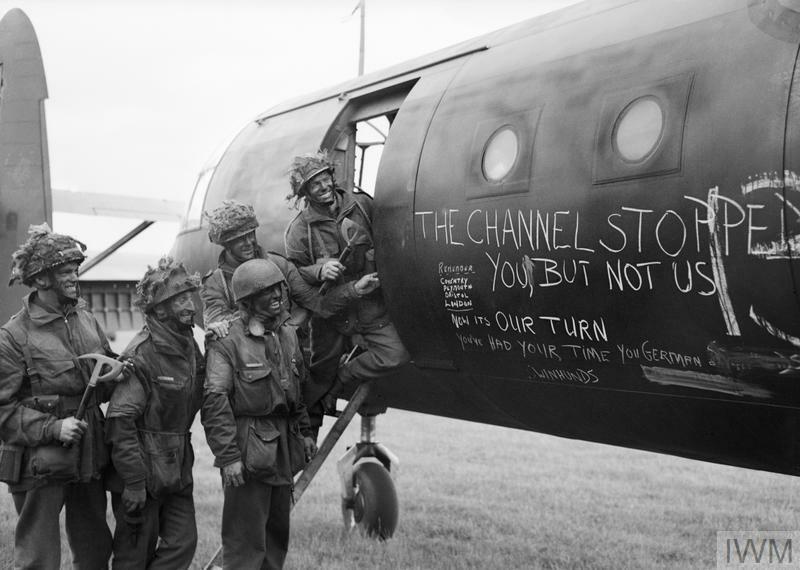 In the run-up to D-Day, the Squadron attacked factories, V-weapon sites and communication targets in France. Its commander, Wing Commander Leonard Cheshire, pioneered a controversial new low-level target-marking technique. The improved accuracy minimised civilian casualties when attacking targets in occupied territory. In the autumn of 1944, 617 Squadron joined 9 Squadron in attacks with 12,000 lb 'Tallboy' bombs on the German battleship Tirpitz, moored in Norwegian waters. The first two attempts were inconclusive owing to cloud and smokescreens, but on 12 November they found Tirpitz with no protection. Sustaining two direct hits, the ship was shattered by an internal explosion and capsized. A Lancaster B Mark I (Special) of 617 Squadron releases its 22,000 lb 'Grand Slam' deep penetration bomb over the Arnsberg viaduct in Germany. Arnsberg lay in the eastern Ruhr Valley, not far from the Mohne dam, which had been the target for 617’s first operation in 1943. Now, its strategically important railway viaduct was the objective. On 19 March 1945, an attack by 19 Lancasters of 617 Squadron carrying a mixture of 'Tallboy' and 'Grand Slam' bombs brought it crashing down. In the last months of the Second World War, 617 Squadron made further successful strikes against the German rail and canal network, coastal defences and previously invulnerable U-boat pens, using 'Tallboys' and the monstrous new 22,000 lb 'Grand Slam' bomb. 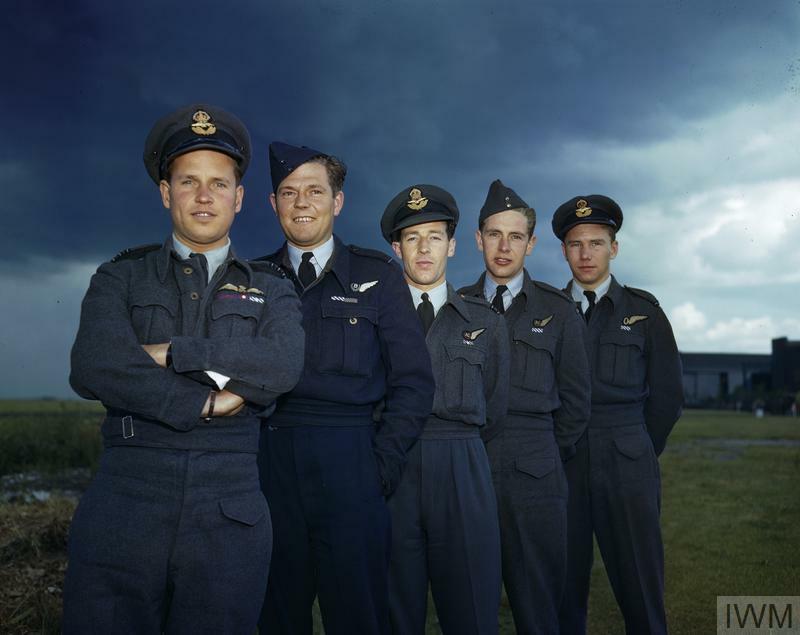 Right to the end, 617 Squadron maintained its position as Bomber Command's ultimate precision bombing specialists. On the night of 16-17 May 1943, Wing Commander Guy Gibson led 617 Squadron of the Royal Air Force on an audacious bombing raid to destroy three dams in the Ruhr valley, the industrial heartland of Germany. The mission was codenamed Operation 'Chastise'.